The Homestead Kids Zone is open to the public Saturday/Sunday only. Please note that hours of operation may vary on holidays. We keep up with all the up-coming hours changes in the News Section of this website! Check out and like our Facebook Page for updates, special events and offers! 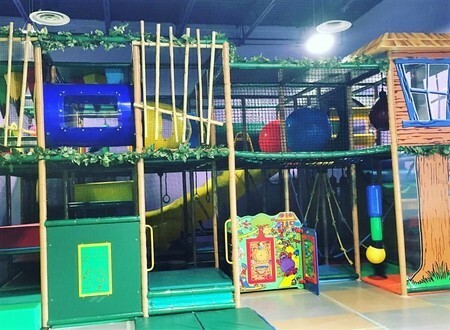 Did you know you can have a jungle gym party in the Homestead Kids Zone?? Do your little monkeys love to climb? This party is perfect for all your little critters 10 years and younger who love to climb, crawl, bump and balance. Kids and adults alike can enjoy thrills from the rush of our Speed Slide to the slow crossing of our Gator Pit. All under a canopy of vines. - 1 hour in our party room to eat food, cake, and open gifts.